Money and luxury practically go hand-in-hand and professional athletes have them both. A small percentage of pro athletes choose to spend their money in responsible manners while others make so much they have nothing better to do with it then to spend it on the fanciest of items. But what’s wrong with paying a little over $200k on a unique vehicle, if you have as much money in the bank as these athletes? Just wait until you see what type of customized car John Cena has. Drew Brees is the NFL’s premier quarterback. Outside of Tom Brady and Aaron Rodgers, there’s no one close to him as far as skills go. Thanks to this, he has earned a huge amount of cash throughout his career. That has allowed him to live the life he wants while bringing wins to his football team. In this life of his, he has purchased a Bugatti Veyron that cost him roughly around $2.2 million. 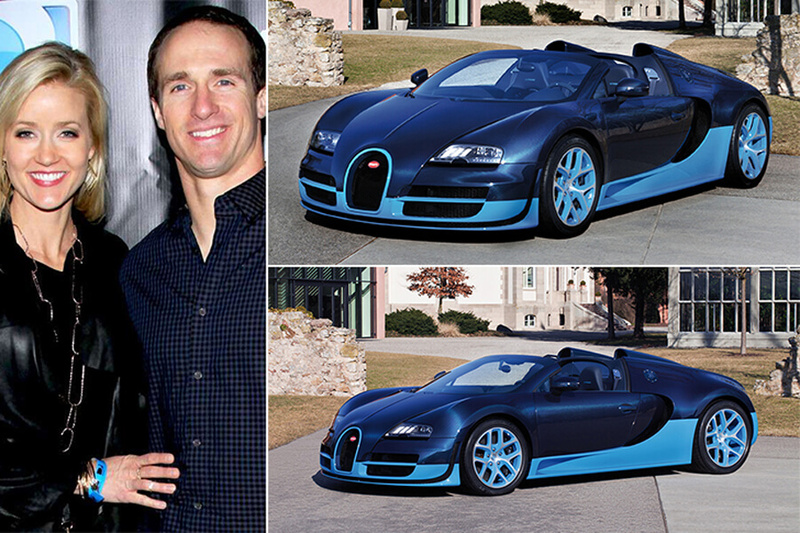 Reportedly, Brees is in love with fast cars and has five luxury cars that cost him approximately $4.2 million. Half of that came from his Bugatti you see here. 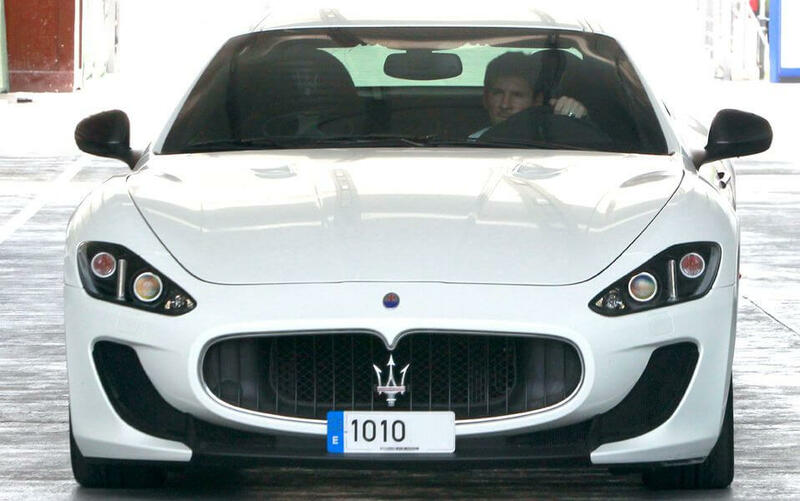 Barcelona FC and Argentinian star Lionel Messi not only is fast on the pitch but likes to match that speed with his cars. The forward and 2009 FIFA World Player of the Year winner is as modest as they come, but his Maserati Gran Turismo is anything but that. Originally priced at $150K, Messi threw on about several thousand dollars more worth of aftermarket tweaks. The stylish and sleek vehicle is fit for a king. He put it up for sale in 2017 and only asked for $125K. New York Giants wide receiver Odell Beckham Jr. made a name for himself when he made what might be the most amazing touchdown catch in the past decade. Since that spectacular catch, he worked out a very lucrative contract deal and reaped the benefits. If you keep up with his social media accounts, you know he likes to live life out loud, and his cars are no different. With multiple six-figure vehicles in his possession, West Coast Customs gave his $109k Mercedes a proper treatment in 2016. Underneath the hood sits a V8 bi-turbo engine with 577 horsepower. Floyd Mayweather isn’t concerned with spending millions on a car. He does it all the time. That’s thanks to the fact that he has surpassed $1 billion in career earnings from boxing alone. Let that sink in. Now, with that amount of money, he was able to grab one of only two cars manufactured of its kind. There are only two Koenigsegg CCXR Trevitas to exist, and the only one in America belongs to Mayweather. It cost him a cool $4.8 million. It has over 1,000 horsepower and can get to 60 MPH in 2.9 seconds. Olympic silver medalist Maria Sharapova is not the one to question about her knowledge of cars. The famed tennis star is a brand ambassador for Porsche, which is, of course, the car of choice for the Australian Open winner. On most days, you can catch her pulling out of her driveway in the Porsche 911 S Cabriolet. She used to be in love with SUVs, but the brand made her a die-hard fan of horses. This particular car would run her about $200k before options. Julio Jones is arguably the best wide receiver in the NFL as of 2018. He’s a college football titleholder and could have been an NFL champion if it weren’t for the crazy heroics of Tom Brady. A loss that still stings Jones, but we’re sure his luscious vehicle helps ease the pain a bit. 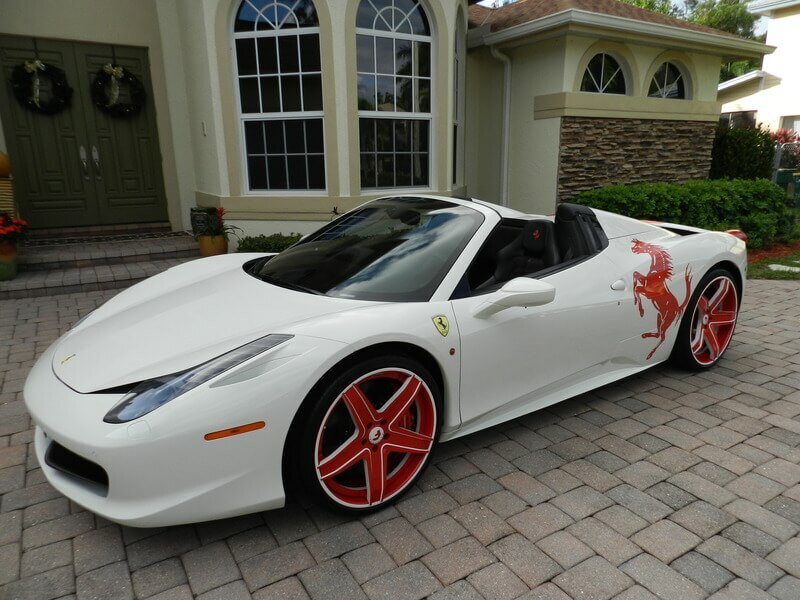 He has a customized white Ferrari 458 Spider with the red Ferrari symbol on the back and red rims. It’s as lovely as they come, but we wonder how in the world the tall receiver fits inside of it. You may very well know Robinson Cano for his power hitting and smoothness on the field. He was the 2017 All-Star game MVP and the 2013 Wilson Defensive Player of the Year. To match his power and style, Cano purchased one of the sleekest Ferrari’s you’ve ever seen. MC Customs personalized his Ferrari 458 for him back in 2014. It has the gold “wet mirror” paint, which is probably the best part about the vehicle. 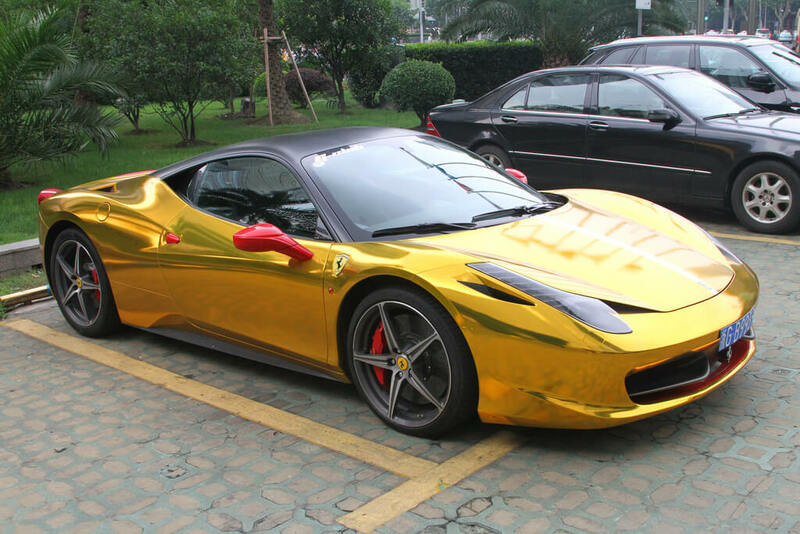 It’s not often you see a gold luxury car rolling down the street. Los Angeles Laker star LeBron James is a force of nature. It only fits that his vehicle matches him. The three-time champion likes to get creative on the court with his passes and slam dunks. It also appears that he uses those same talents when it comes to cars. 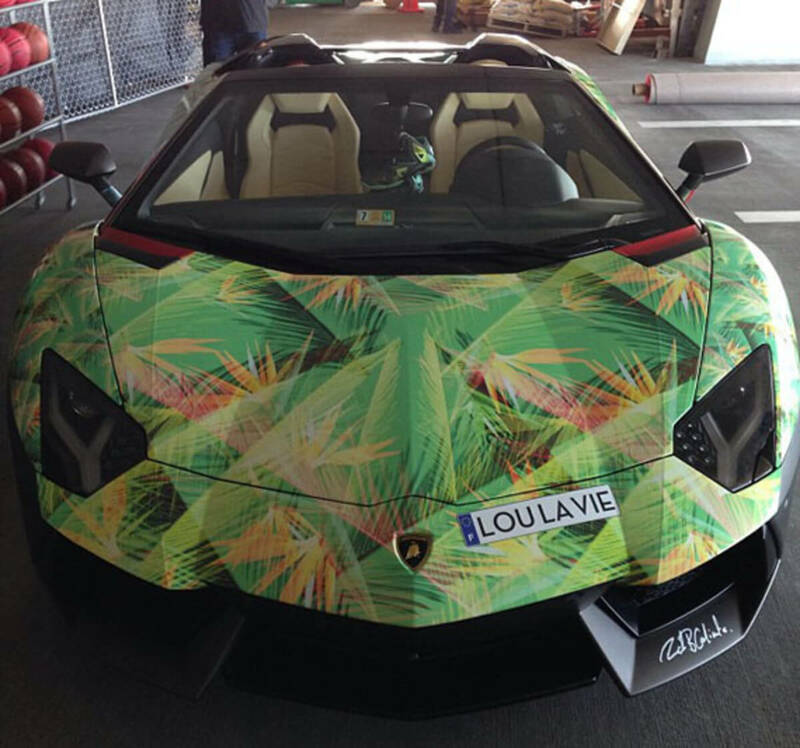 What started as a regular Lamborghini Aventador became something else entirely when it ended up with a floral design to match his signature sneaker. When it was all said and done, the Lambo cost $670k and rightfully so. From one great to another, Tom Brady knows what it means to be a world champion and to drive extremely nice cars. Brady probably isn’t as flashy as some of the other stars included on this list, but he isn’t turning down driving a six-figure sports car, either. 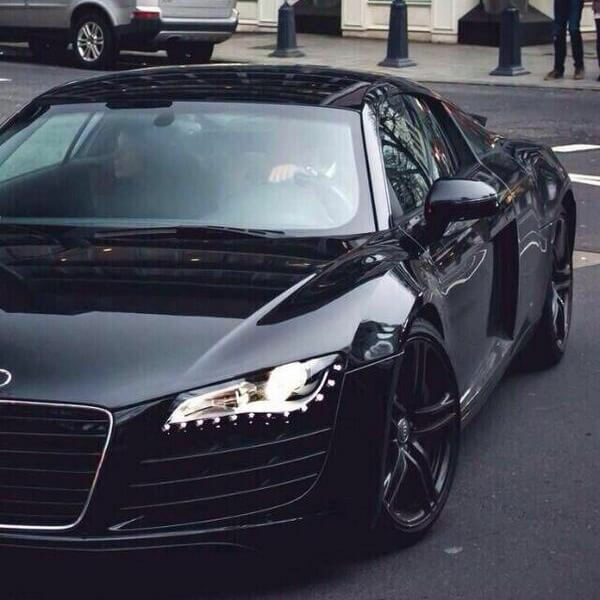 He’s often spotted in this black Audi R8 that holds a V10 engine in it and boasts a base price of $163K. That’s still a pretty penny to cough up for someone who doesn’t care about the glitz and glamour. There are many luxury cars out there that attract the attention of sports stars such as the Phantom or even a Porsche. Also on that list is the Lamborghini. In fact, this is the top choice in cars for Oklahoma City star, Russell Westbrook. 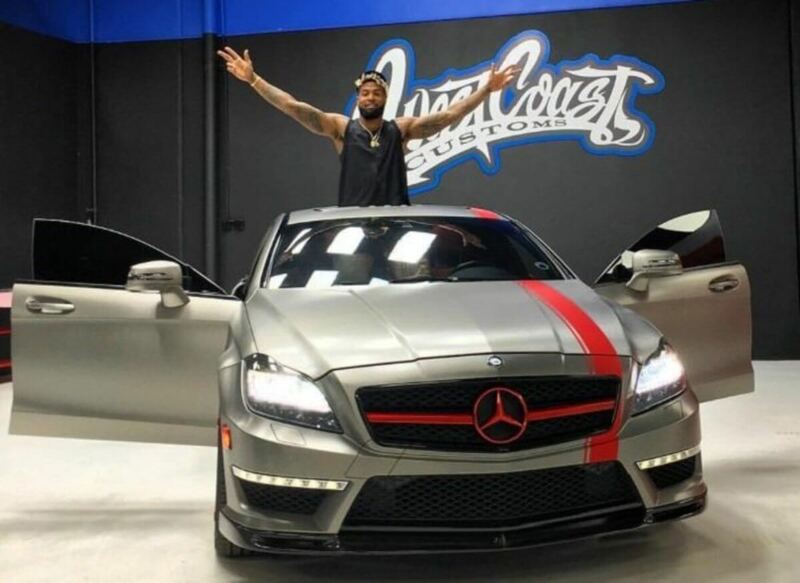 The MVP isn’t known to spend too much on his cars, but that doesn’t mean his collection isn’t sweet. The one you see above fits his style perfectly with the unique design since he’s always pushing boundaries with his fashion. Keeping it in the NBA, we’ll hand it over to the point guard, Derrick Rose. The youngest ever MVP in league history is probably one of the most humble stars, too. Thanks to a couple of knee injuries, Rose lost some luster, but a broken clock is right two times a day. 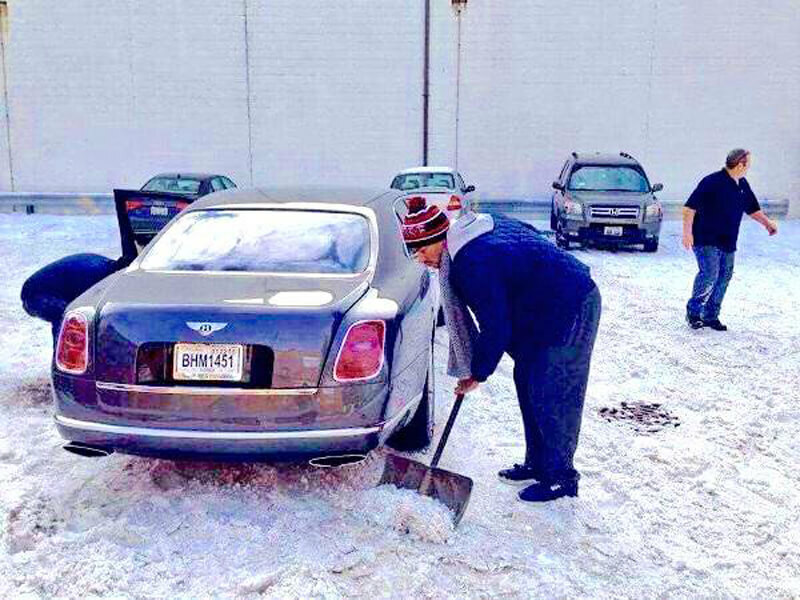 The Bently costs around $300K, but a testament to Rose’s humility, he decided to leave it out in the snow. It’s a well-made vehicle, so if it couldn’t withstand some ice, it probably wasn’t worth the money. When it comes to aesthetically-pleasing luxury cars, this one is the ultimate. C.J. 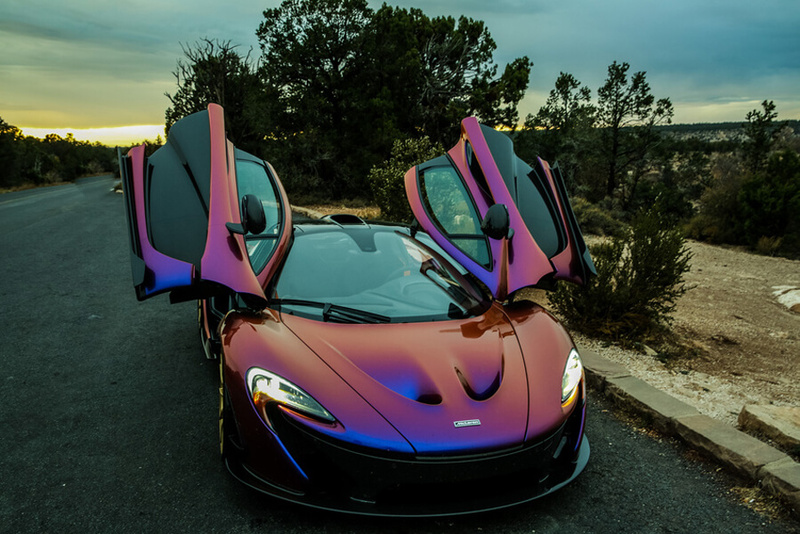 Wilson is the lucky owner of this “hyperblurple” McLaren P1. He used to be a pitcher for the Angels until he decided an automotive dealer would be better for him. After he drove this car home, he wrote an article and called it his dream car. Not many can afford a vehicle of this caliber, so reading the article might feel like a fantasy of sorts. At least you can admire from afar. Houston Astros pitcher Justin Verlander is no stranger to winning as he has the 2011 American League Cy Young and Most Valuable Player awards under his belt. If you catch him in a street race, he will more than likely win that as well with his Mercedes. With a $250k price tag, there are only 200 models made of this car in America. Verlander happens to be one of the owners of one. By the time Verlander retires, he will have earned over $200 million, so the cost was nothing to him. The Denver Nuggets have a monster on their team named Von Miller. If you want to nitpick, he might have been the main reason why Peyton Manning won the Super Bowl with the Broncos before retiring. 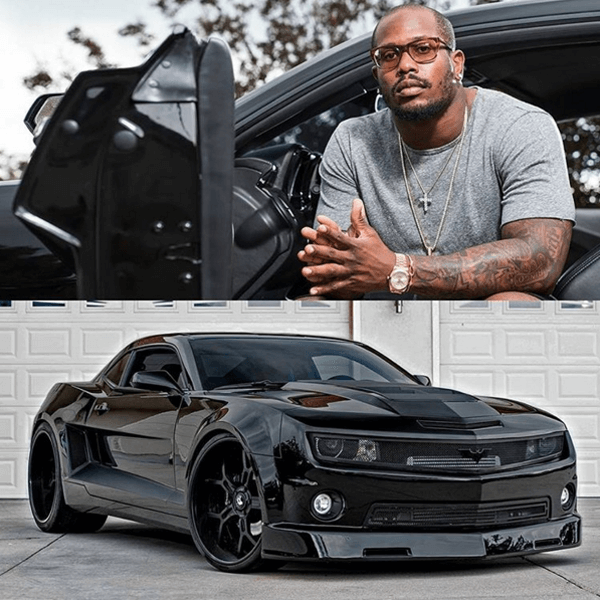 The Superbowl MVP nicknamed his Camero the Batmobile. It comes with the Batman emblem on the front of the grill, a customized interior, and it has the same engine like the one they used for Bruce Wayne’s car in the movies. Of all of the athletes out there, J.R. Smith would be the one to have a car like this. It makes perfect sense. The Cleveland Cavaliers guard shoots his way out of a tough situation and by the looks of his vehicle, probably thinks people are going to be shooting at him, too. New Yorkers spotted him driving this armored vehicle around the Meatpacking District. 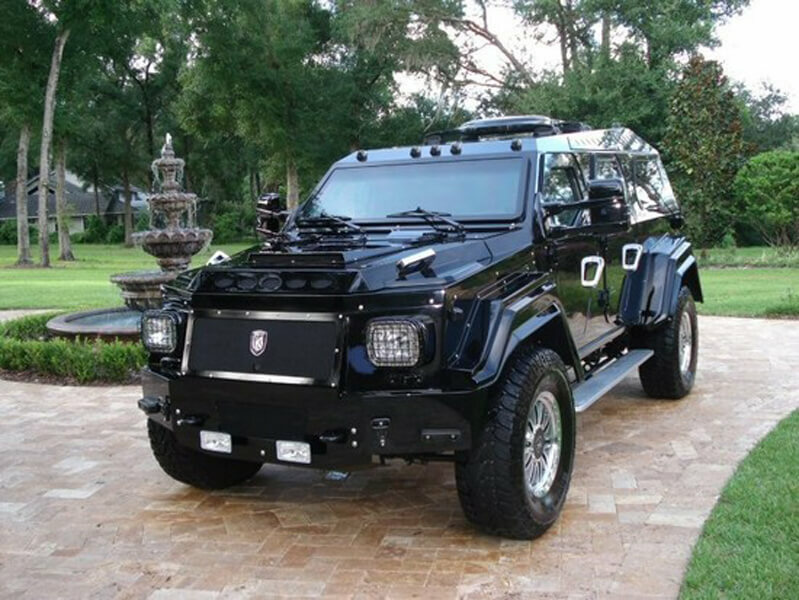 This car is mainly purchased for combat situations, not for joyrides around the Big Apple. Civilians can buy it for roughly $300K. Serena Williams recently had a newborn in 2018 with her husband, who is also the co-founder of Reddit. We’re sure they’re going to have to get a safe car for their precious child, if they don’t already. When they don’t have their daughter in tow, however, you might catch Williams pushing her Bently GT. Williams has earned enough prize money to purchase a lot of Bently’s. Her Continental GT starts at $198K. That isn’t so bad considering it has a W12 engine that produces around 581 horsepower and reaches 60 MPH in 4.3 seconds. 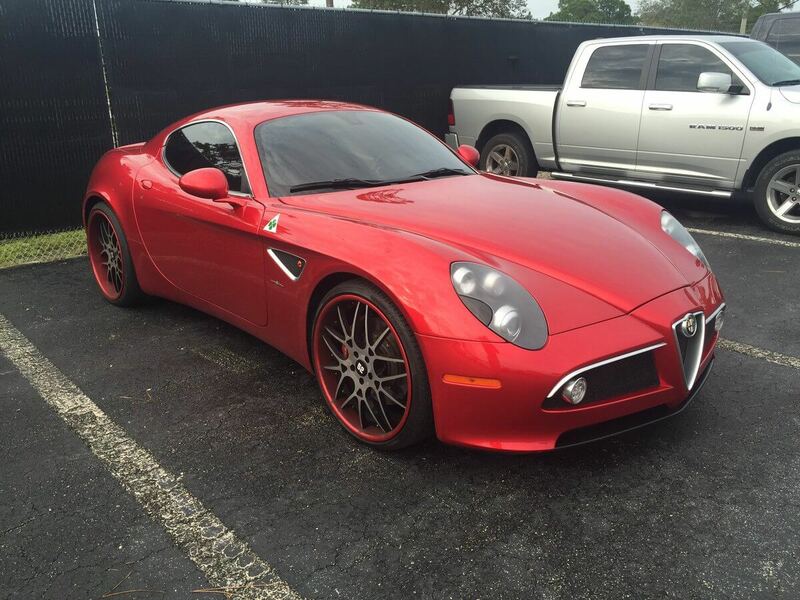 When it comes to luxurious cars, Mets outfielder Yoenis Cespedes has a handful. 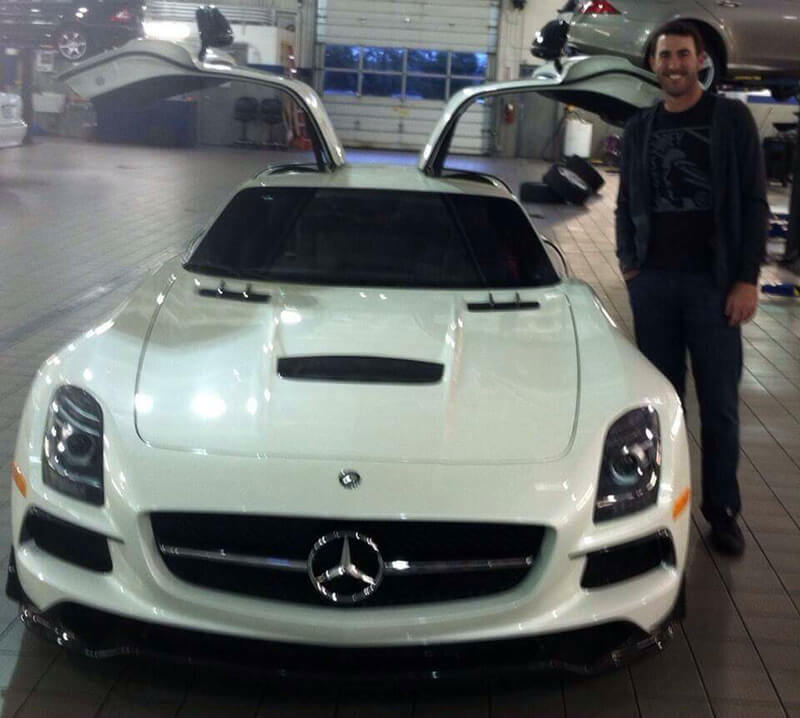 The Silver Slugger winner of 2016 once challenged himself to pull up in a different exotic car to spring training every day of the week. Something we’re sure everyone wishes they could do. Arguably, the best of the fleet was this Alfa Romeo 8C. It’s a limited edition U.S. version that debuted in 2008. It would cost buyers around $250K these days if you were wondering. Maybe in another lifetime! Between Odell Beckham, Julio Jones (both of which we featured earlier) and Antonio Brown, each one can make a case for who the best wide receiver is in the NFL. As far as custom cars are concerned, we think Brown might have them both beat out. His Rolls Royce has the satellite-assisted transmission and the usual specs that cost around $315K. Then Brown took it to the next level with the intergalactic colorway. 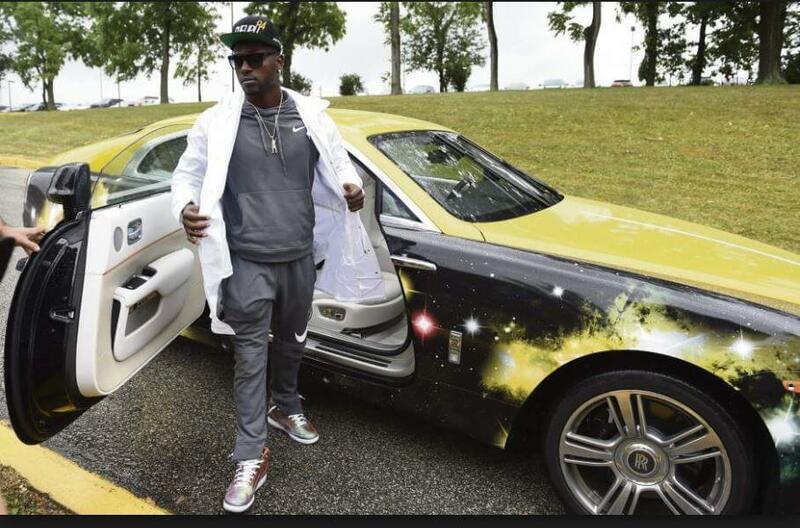 Just as he’s flashy on the field, he had to keep that same energy with his vehicle. What reaches 100 meters first, a Bugatti Chiron or Cristiano Ronaldo’s lower extremities? Something to think about, isn’t it? 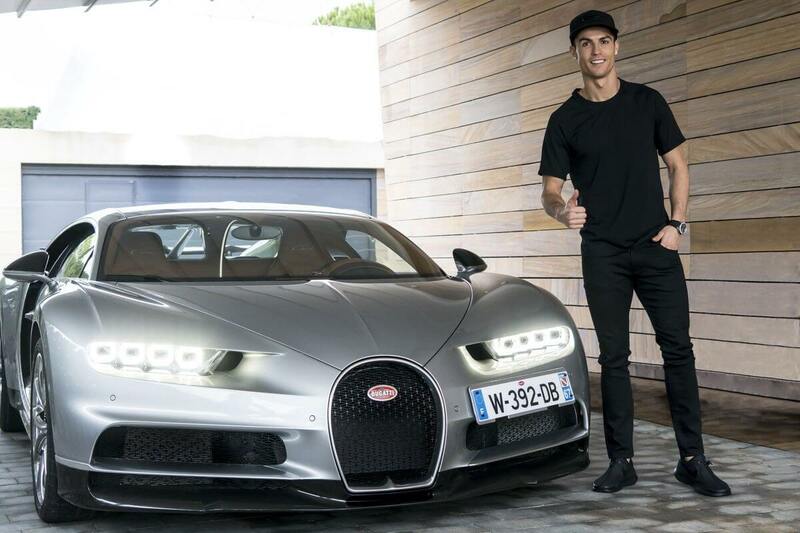 Ronaldo’s foot speed is out of this world, but so is his taste in cars. 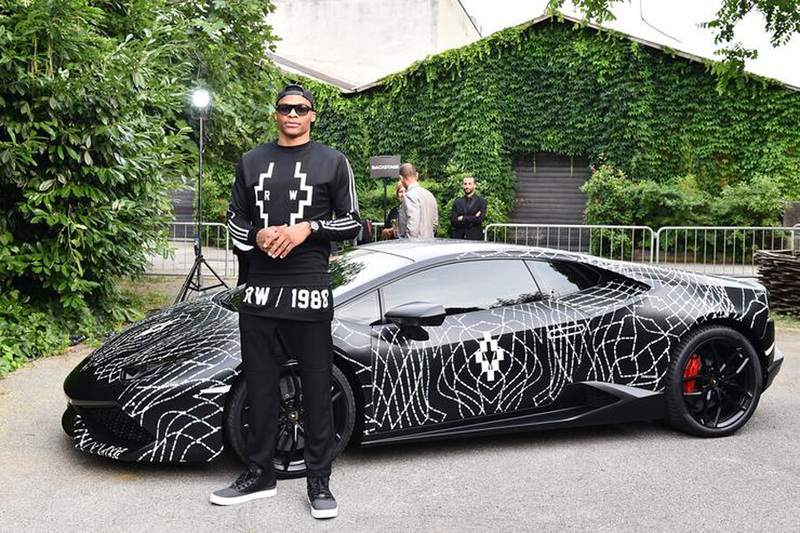 The Juventus star has Porches, Ferraris, Bentleys and more. His most expensive ride has to be the Bugatti Chiron. It costs buyers around $2.5 million. In case you were wondering who was faster, the Chiron is one of the fastest cars ever made. It’s electronically limited to peak at 261 MPH. 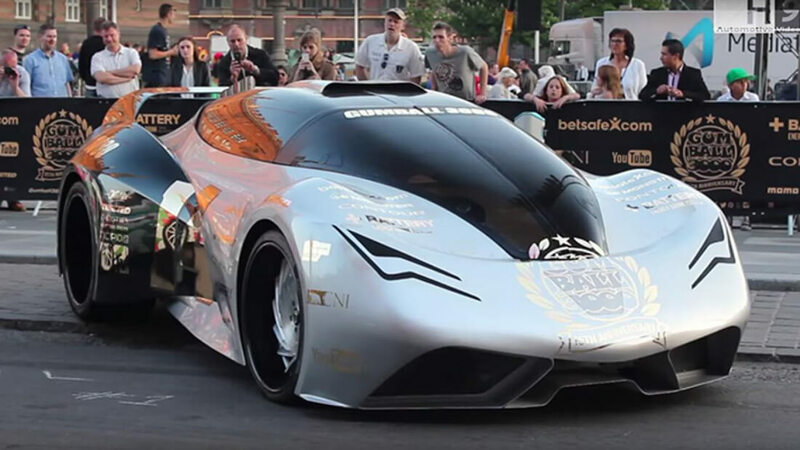 Who needs a Bugatti or Porsche when you can have a ridiculously tricked out custom Corvette? John Cena is one of wrestling’s biggest stars, and he usually likes classic muscle cars. However, he’s not above hooking up a Chevy Corvette to turn some heads. Parker Brothers Concepts turned this car into a beast and rightfully called it the InCENArator. It all started with a wrecked ‘Vette chassis, so it probably cost around $200K.